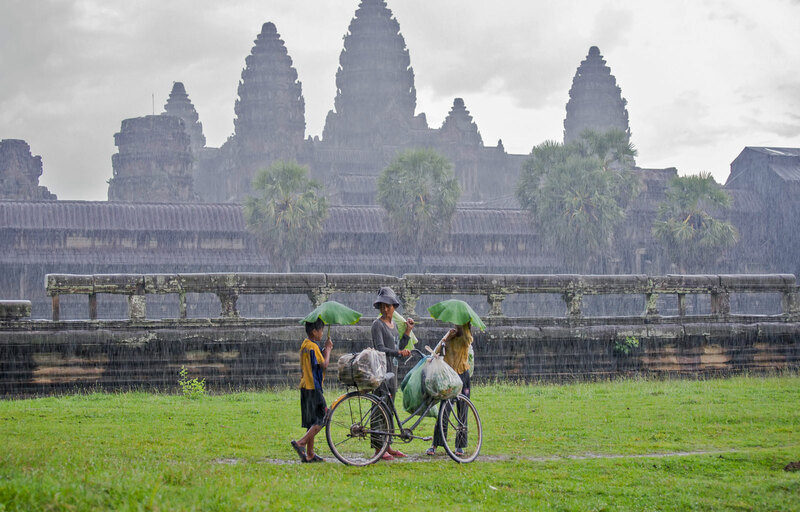 Your tour will start at about 8:00 am visit the most famous temple, Angkor Wat. Angkor Wat was built in the first half of the 12th century (113-5BC). Estimated construction time of the temple is 30 years by King Suryavarman II, dedicated to Vishnu (Hindu), replica of Angkor Thom style of art. Then continue to visit Ta Prohm Temple, the undisputed capital of the kingdom of the Trees. It has been left untouched by archaeologists except for the clearing of a path for visitors and structural strengthening to stave of further deterioration. Moreover, Ta Prohm is known in Hollywood film "Tomb Raider"in 2001. In the afternoon you will continue to visit Angkor Thom complex. Angkor Thom is almost a square city surrounded by 8-meter high walls a little over 12 kilometers long with five impressive Gopura gates providing access to the city. The city’s name translates to “large city” or “great city”. King Jayavarman VII made Angkor Thom the new capital of the Khmer Kingdom after driving out the Chams. You will firstly visit Preah Khan, which is known as an old temporary city of the king Jayavarman VII (1181-1218), then you will continue to Neak Pean, which was one of the 102 ancient hospitals of the King Jayavarman VII who built this hospital temple for taking care of people’s health and then you will move to East Mebon, this temple was built by the same king ‘Rajendra Varman II (944-967) to dedicate to his ancestor. Then continue to Ta Som, a small temple at Angkor, Cambodia, built at the end of the 12th century for King Jayavarman VII. It is located north east of Angkor Thom and just east of Neak Pean. Pre Rup is a temple at Angkor, built as the state temple of Khmer king Rajendravarman and dedicated in 961 or early 962. It is a temple mountain of combined brick, laterite and sandstone construction. You will depart straight to the north of Siem Reap city (37 Km) to visit Banteay Srei. This temple has been constructed by hard pink sandstones, wonderfully sculpted, perfectly preserved and restored. After that, you will drive back to visit Banteay Samre. Then you can have lunch at local restaurant around the temple area. Then, you will continue to visit Preah Khan, which is known as an old temporary city of the king Jayavarman VII (1181-1218), then you will continue to Neak Pean, which was one of the 102 ancient hospitals of the King Jayavarman VII who built this hospital temple for taking care of people’s health. Then you will move to East Mebon, this temple was built by the same king ‘Rajendra Varman II (944-967) to dedicate to his ancestor. We begin with an exploration of the Psa Leu wholesale market to enjoy an explosion of colours, sights, sounds and smells. Here you can find everything from sieves, silks and snakes, through to the early morning fruit and vegetable displays. This wholesale market receives few tourists, and is open from 4am in the morning—the earlier you visit, the better. Along the way, we explore the Rolous Group, comprising three main temple sites: Lolei, Preah Ko and Bakong, all located in the earliest Angkorian capital, Hariharalaya. 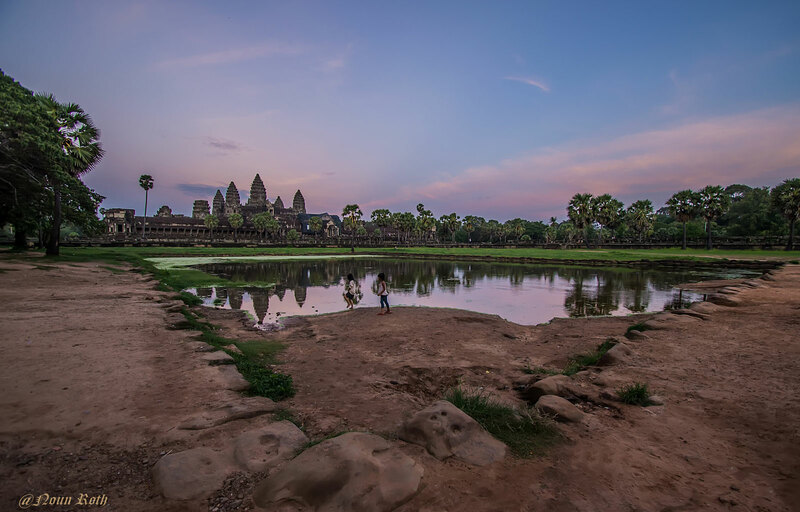 Explore the earliest large scale temples of the Angkor period and recognize the first use of various architectural forms such as the Naga and the stepped or tiered temple mountain which became themes for many subsequent monuments. Highlights include the well-preserved stone elephants at Bakong and its mountain temple—be prepared to climb, and keep climbing. Preah Ko features some very fine carvings, and inscriptions in ancient Khmer featured on the three towers. Beng Mealea, A Jungle-Clad Temple: We then travel through villages on the outskirts of Siem Reap to the mysterious Beng Mealea temple, the blueprint for Angkor Wat. This temple is overgrown with trees and vines, and is an explorers dream: venture into darkened doorways, skirt crumbling pillars and walk down the long promenades lined by the Naga balustrades. You will depart to Phnom Kulen "Kulen Mountain". It is about 50km from Siem Reap city. You will visit the Thousand Linga River, carving on riverbed, Grand Reclining Buddha, and enjoy your swimming at waterfall. You can have lunch at the local restaurant on this mountain. Phnom Kulen can be a combination of visit with Banteay Srey, Banteay Samre and some temples along the way back. 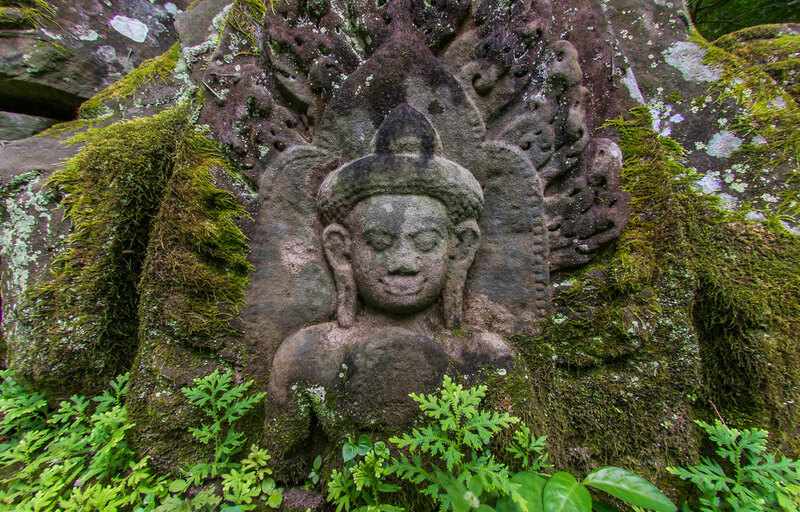 is an Angkorian era archaeological site on the southwest slopes of Phnom Kulen. It is described as "a spectacularly carved riverbed, set deep in the jungle about 50 km from Siem Reap city. Be reminded, the entrance to the area generally closes at 3:00pm and it requires 45 minutes uphill walk. Kbal Spean can be a combination of visit with Banteay Srey, Banteay Samre and some temples along the way back. You will discover the city, Angkor Angkor National Museum or Siem Reap War Museum, and Artisans d’Angkor. The Artisans d’Angkor is a Cambodian company which was originally created to help young rural people find the work. Since its creation at the end of 1990s, Artisans d’Angkor has strived to offer good working conditions. Option 1: Chong Khneas You will discover the great lake "Tonle Sap": real interior ocean, there are a lot of fish in this lake. The floating village of Chong Khneas lies at the edge of Tonle Sap Lake, the largest freshwater lake in South East Asia. This fishing settlement, situated just 10km south of Siem Reap. It easily accesses by boat and provides very good insight into the village lifestyle of the Tonle Sap. Option 2: Kompong Phluk is about 25km east of Chong Khneas. It is a much better option for you to visit a village on the lake because many houses are built on stilts up to 10m high, and the village is surrounded by flooded forest (rain forest) and it is accessible by boat only. Kompong Phluk is a relatively small village and the attraction for an insight to the lifestyle of village folks in Cambodia. Option 3: Mechrey, this private tour takes you to a lesser visited part of the lake system, to the village of Mechrey. Your guide will bring this incredible natural phenomenon to life and enable you to interact with the people who making their lives from the lake in a respectful and meaningful way. This is a great chance to witness one of Cambodias and the world’s most amazing natural wonders. Sunrise or Sunset is one of the most popular views to see as well, there are several places to see the sunrise and sunset with additional charge. In Angkor Area you can see Sunrise and Sunset and normally people spend their time in Bakheng Mountain for Sunset even if Sunset is able to see anywhere but with Bakheng you will see the temple and Sunset at the same time. People normally get to the top of the mountain by feet and riding elephant. 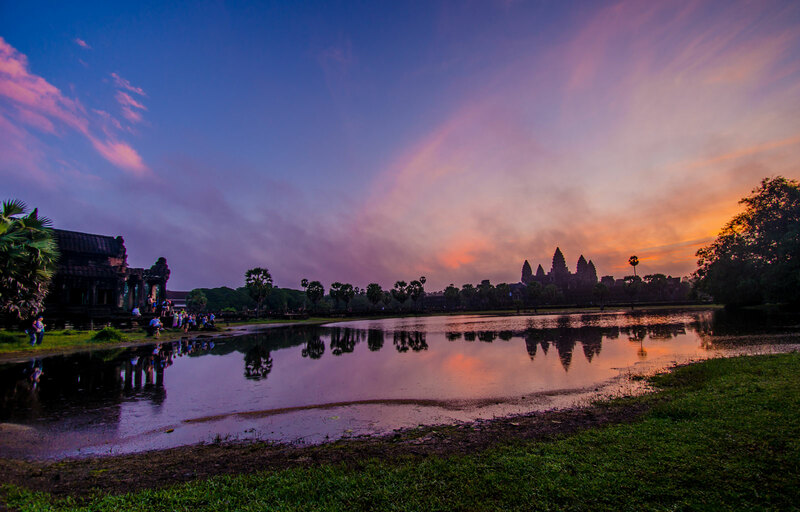 In another hand, Angkor Wat is a good place to see Sunrise. Another recommended place for Sunset is on Tonle Sap Lake, Chong Khneas which located in about 15 km from Siem Reap. - You can contact Front Office Manager via email fom@chateau-angkor.com or reservation team, reservation@chateau-angkor.com before your arrival. - Discuss with our front desk agents at arrival and any time to arrange your tour excursion. To cancel a confirmed tour arrangement, please do it 7 days prior the date of service or charge will be applied on any later request. 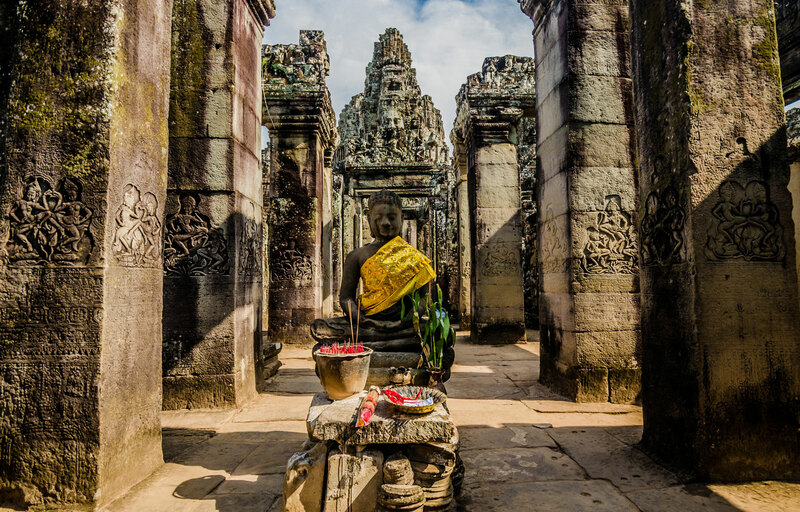 There are still some holy places for Cambodians; the visitors must follow the dress code of "long trousers or skirt, covered shoulders, and no hats (take off hats)". A skirt or shorts which cover the knees (under the knees) are also acceptable, but the scarf to cover is not allowed. This dress code is strictly enforced only three main temples: Angkor Wat (the top level), Baphoun and Phnom Bakheng Temple. On holy/Buddha’s Day, the top level of Angkor Wat is closed, so please check with our front desk staff for this day, and then you can switch your day of visit. All your tour fees will be posted to your room bill and the total balance will be settled upon your check out. - All tour fees are quoted in U.S. dollars. - The tour fees are not included of any entrance fees or temple pass (ticket); boat. Note: The children under 12 years old are free of charge but the guests have to present the copy of their passports at entrance of the temples. - The above prices are stated for 1‐2 people in a car. US$2.00 extra is applied for 4 people in a car. - The above prices are stated for 4‐6 people in a van. US$5.00 extra is applied for more than 6 people in a van and USD10.00 is applied for more than 9 people in a van. - The above prices are stated for 1‐3 people in a Remork (Tuk Tuk). - US$7.00 extra if the party is more than 6 people for English or Japanese language (Tour guide). - US$12.00 extra if the party is more than 6 people for other languages (Tour guide).